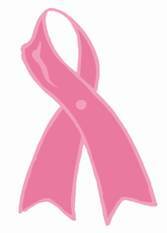 According to doctors, the best tools in the fight against cancer are education and early detection. Legislator Becker is pleased to announce that the Nassau University Medical Center Mammography Van will be coming to our area to provide breast cancer screenings for women over age forty. The screening will include a breast examination by a nurse, a mammography and instructions for breast self-examination. If you are planning to receive an exam, you will need a prescription for the exam from your doctor (if you have insurance) and must provide any past exam films, if available. Women with health insurance will be required to make a co-payment. The mammography is free for uninsured women, based on eligibility guidelines. For additional information or to make an appointment, please call Legislator Becker's office at 516-571-6206.